Poor Beyonce. She allegedly lip-syncs the National Anthem at the presidential inauguration — adhering to an accepted practice in the entertainment world — and the next thing you know, she’s being scandalized. Media outlets ranging from CNN to The Huffington Post have breathlessly reported and analyzed the deeper meanings of Beyonce’s alleged lip-sync. Ad Age recently published an infographic depicting the explosion of conversation about the incident and speculation that she might lip-sync at the Super Bowl XLVII halftime show. 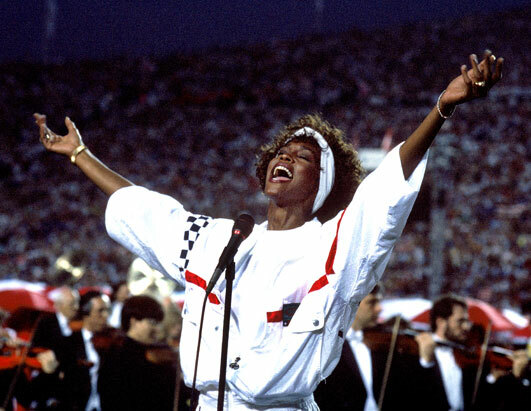 You would think Beyonce committed massive fraud when in fact performers have been lip-syncing for ages, one famous example being Whitney Houston lip-syncing the National Anthem at Super Bowl XXV in 1991. 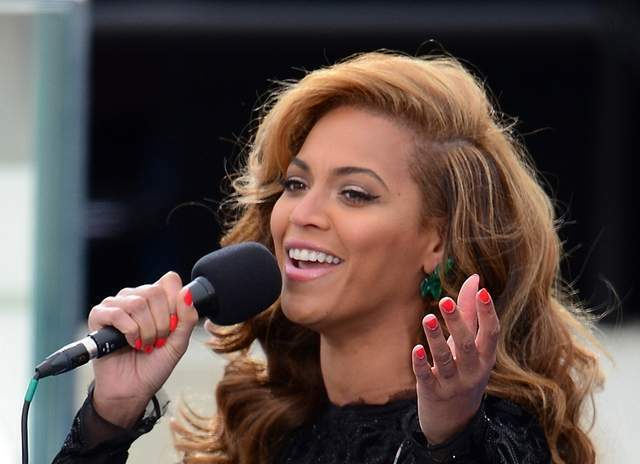 In fact, Beyonce is guilty of nothing more than bad timing if indeed she lip-synced, as an unidentified source claims. I dislike the practice of lip-syncing. Performers who lip-sync deny themselves and their fans the experience of hearing a song re-interpreted uniquely. Lip-syncing is especially annoying when you pay a premium price for the live experience. When a vocal in concert merely replicates the sound you hear in a recorded track, then concert goers are paying not for the singing but for the pure spectacle of seeing your favorite star live — the costumes, the set designs, and all else that comes with particularly high-concept shows. You might as well listen a recorded guitar solo, too. But lip-syncing long ago became a common practice, with stars ranging from Michael Jackson to Jennifer Hudson doing it. Lip-syncing is really a by-product of our multi-media age. When your performance is fleeting, you’re more likely to take a risk with a live vocal and accept an occasional flub. But when your performance is forever recorded on YouTube — or televised on a global stage like the Olympics or the Super Bowl — and when every mistake is captured for the digital world to post and repost endlessly, you just might become risk averse. That’s the nature of show business now. So if lip-syncing is so common, why does it matter whether Beyonce did it? No one really knows. Sasha Weiss of The New Yorker speculates that Beyonce’s lip-sync is an uncomfortable reminder of the superficial nature of the inauguration itself, which we are supposed to revere for being a magisterial transfer of power. Here’s my wholly unsubstantiated theory: I believe Beyonce is the first major victim of the post-Lance Armstrong Zeitgeist. Only days before the inauguration, Lance Armstrong had finally been exposed as a liar and a cheat when he came clean to Oprah Winfrey, thus making it official that he had hoodwinked journalists and devoted fans alike for years. Almost within hours of the Armstrong confessional, the scandal involving college football star Manti Te’o and his fake girlfriend caused more embarrassment for the journalists and fans who had been fooled by Teo’s own touching human interest story. Frankly, a lot of people — especially the people who write the columns and cover the news — are pissed off by fakers right now. And they’re embarrassed for buying into the fakery. So to those angered and offended, a celebrated singer possibly faking the performance of the National Anthem is just too much to stomach right now. I don’t think the hand wringing and Beyonce bashing are fair, and I don’t believe Beyonce believes herself to be a conscious faker. If she’s lip-syncing, she’s doing what comes natural to entertainers today. This entry was posted in Entertainment and tagged Beyonce, David Deal, inauguration, Lance Armstrong, Manti Te'o, Oprah Winfrey, Sasha Weiss, Super Bowl, Super Bowl XVLII, Super Bowl XXV, Superhype, The New Yorker, Whitney Houston. Bookmark the permalink.